Lady Gaga’s claims of classic rock and art school roots have been criticized as “all talk.” Many still see her as another pop star who has lost her marbles. In response, her sophomore LP has traded double entendres and bubble gum club beats for Madonna-inspired anthems and a venture into new genres. She covers everything from metal to country and still maintains a club beat twist. At times, this survey of her influences is too abrasive, but it still blows The Fame out of the water. Born This Way is exactly what fans should expect from their meat dress-wearing, alien baby-rearing Mother Monster: a quirky, creepy and slightly pretentious collection of good pop music. Departing from the disjointed track layout of The Fame, Gaga has actually put together an album that remains entertaining and edgy from start to finish. The only trade-off is that there aren’t any hit singles in the bunch. 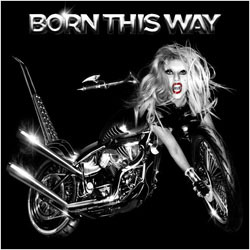 Neither “Born This Way” or “Judas” are impressive on their own — in fact they are rather nauseating with their infectious yet over-the-top choruses. However, when played along with the rest of the album, they achieve new life as attributes of Gaga’s message of individualism and her homage to her influences. While inherently conflicting motifs, together they reflect her personal style and her inspiration. Some may be perturbed by the revivalist feel of Born This Way, but the album is by no means a knock-off. Much as the title suggests, this album represents Gaga at her deepest core. It honors her idols, and it also updates their brand of pop with elements of house music and other contemporary production trends. Though the end product is not perfect, it will leave reigning pop divas like Britney and Rihanna shaking in their boots.